Last year, we featured this news segment from WNEP-TV about the resurgence of the 300 block of Penn Ave. It’s exciting that this stretch of once empty and rundown buildings are now, one year later, booming businesses! Most of them are even proud and frequent participants of First Friday- make sure to check them out! Click here to watch the segment on WNEP-TV. WNEP-TV is a proud media sponsor of First Friday Scranton. Join us for Scranton's Free Monthly Self-Guided Art Walk of the Downtown District. 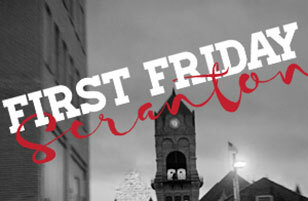 First Friday Scranton is a 501(3) non-profit, volunteer-supported organization.